Nothing suitable in promotional epoxy custom badges? Epoxy Badges are the ideal badge that fit in any marketing strategy with a small budget, as they are discount promotional products and probably the cheapest promotional giveaways on the market. Custom shaped and custom printed in up to a full colour process print! 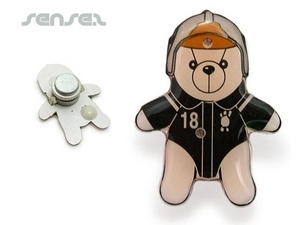 The possibilities are endless with epoxy metal badges. 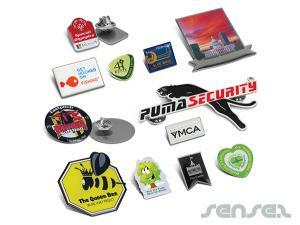 Great in quality, epoxy resin badges make an ideal marketing giveaway for low cost promotions and brand loyalty programs! 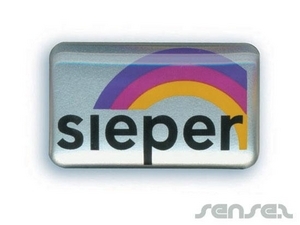 Epoxy badges with branding are ideal for charities or for large corporate campaigns. 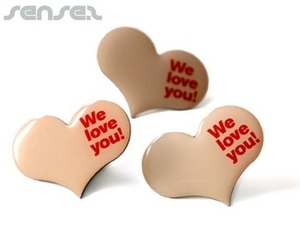 Use an epoxy badge to create brand awareness and customer loyalty. 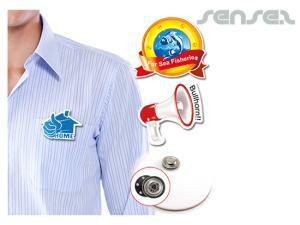 You can also benefit greatly from having your staff wear corporate badges! We can also attach your glossy clear glass epoxy badges onto postcards.